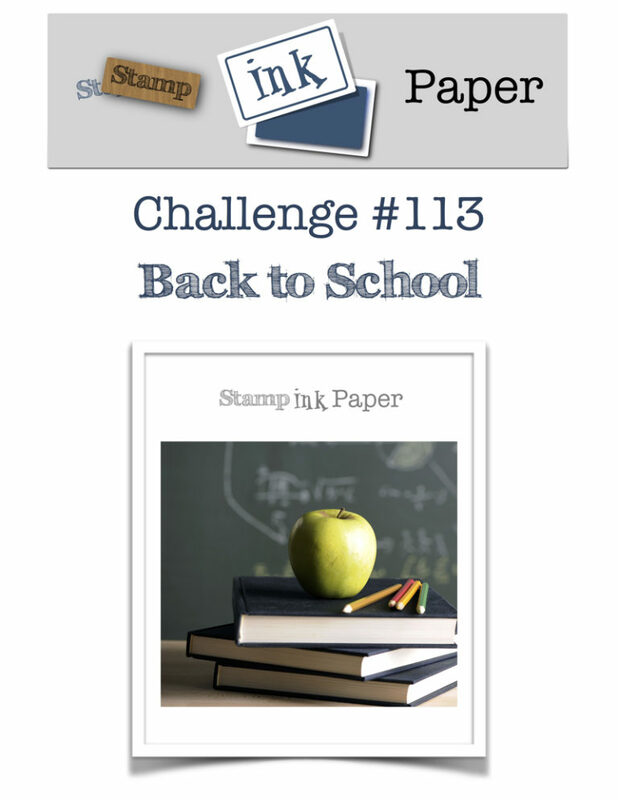 I had been working on another card using fish stamps but, when I saw that this challenge was a "back to school" challenge, I immediately thought of a "school of fish", and ran with it. I started with a top folding A2 navy blue card base. I then cut a piece of white cardstock using the large stitched rectangle from the Bundle of Stitched Shapes set (Simon Says Stamp). 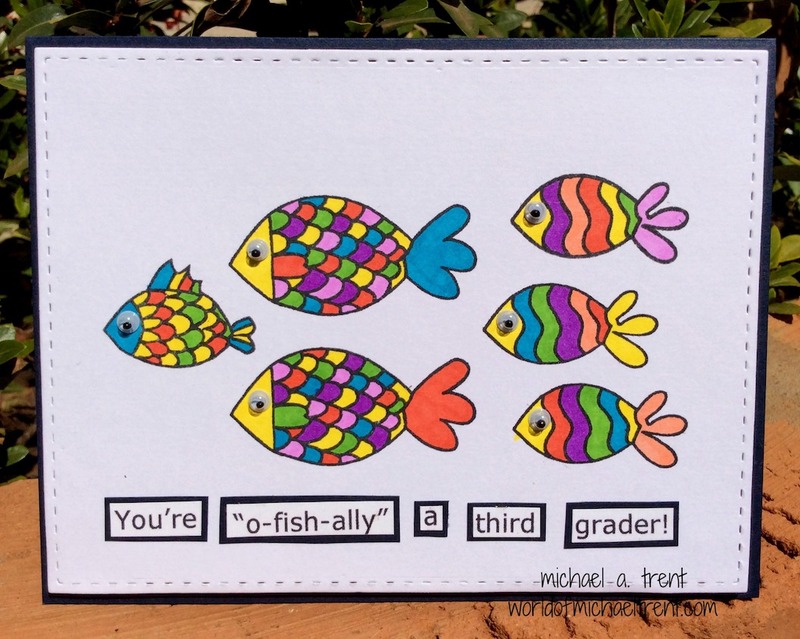 Then I stamped several of the fish from the Fish Tales stamp set (Memory Box) and colored them in with Bic Markers. I cut a piece of white fun foam, adhered this to the back of my colored fish and then adhered this to the card front. I then adhered some small googly eyes to each of the fish. While the eyes were drying, I typed the phrase on the computer, printed it out on white cardstock, cut around each of the words, adhered them to a piece of navy blue cardstock, cut them again and then adhered them under the fish. That's it. Done. I have to say that this fish set is my new happy set and I can see making a lot of cards with just this one set! Anyway, I hope you enjoyed this quick card. If you want to enter a card of your own, just click HERE to be taken right to the challenge. And remember to share it with me!